Our city is full of fantastic tourist destinations and top Miami attractions for visitors and residents or all ages.� There are countless choices from historic tours to animal adventurous from natural to man-made. Top Miami attractions are as exotic and diverse as the culture that makes up this city.� Below is a list of attractions we believe will capture the imagination of both kids and adults. These top activities include animal and botanical sanctuaries, historic mansions and water activities like glass-bottom boats, mangrove creeks and Miami's Indian reservations. SoBe covers the southernmost 23 blocks of Miami Beach. In the 16th century, Spanish explorers found this 207 mile area now Biscayne National Park. This park is 95% water and offers plenty of natural and cultural wonders and activities that include glass bottom boat trips, island excursions, snorkeling adventures, canoe trips, Ranger talks, Family Fun Fest, underwater videos, displays and art exhibits. Casa Casuarina, now a member’s only club, was once the home to fashion designer Gianni Versace. 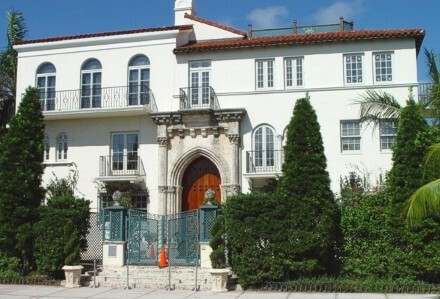 The Versace House was built in 1930 and was purchased by Versace Gianni in 1992 for $2.9 million. He demolished the hotel next door, and a two-story, 6,100-foot addition was built, transforming it into Versace's Miami Beach house. 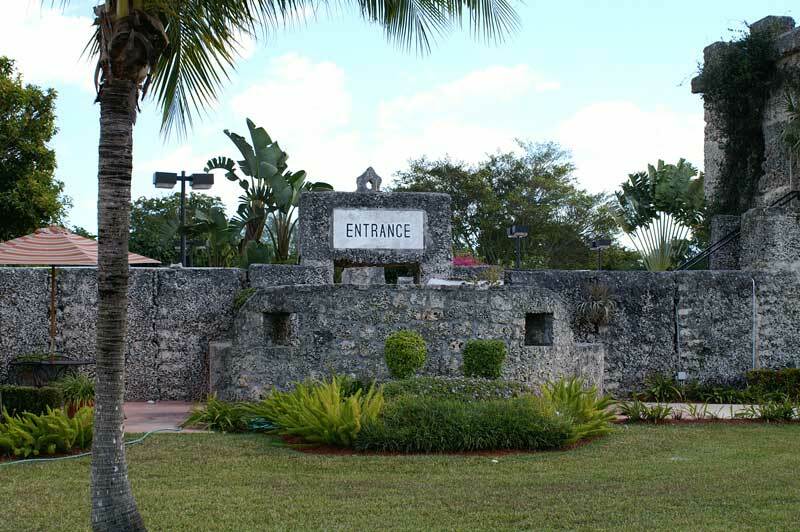 Coral Castle is a testimonial to the distinctiveness of Miami. Coral Castle was built by a Latvian-born Miami resident named Ed Leedskalnin. Ed single-handedly and secretly carved over 1,100 tons of coral rock over a 28 year period as a monument to his lover. To this day the process he used to build this castle is a mystery one of the world's most mysterious accomplishments. The 444-acre Deering Estate is located along the edge of Biscayne Bay and is an environmental, archeological and historical preserve. From canoe tours to butterfly walks and guided nature hikes, the Deering Estate has activities for the whole family to enjoy. The Estate offers daily tours of the lush natural areas and the historical Stone House and Richmond Cottage. Parrot Jungle is a 22 acre, interactive tropical park with over 3,000 exotic animals including 1,100 birds, turtles, alligators and other reptiles and amphibians, as well as 500 species of plants and a rare albino alligator and a 21-foot crocodile. 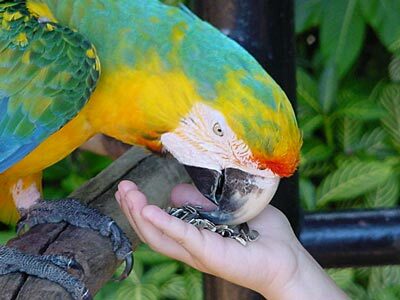 There is over 200 parrots and macaws in Parrot Jungle and a 1,200 seat amphitheater that features world-famous bird shows. Miami Museum of Science is home to many world-class exhibits and offers an entertaining, educational experience for both children and adults. 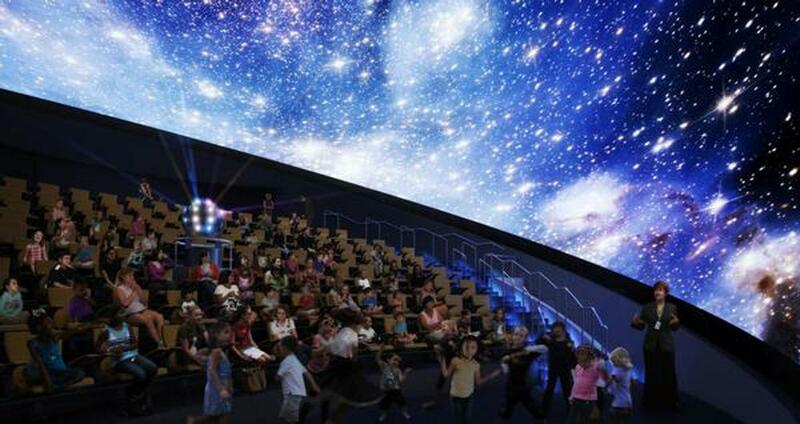 The Museum also houses the Miami Planetarium and features daily shows, surround sound, video projection, lasers and a four-story tall screen.� The museum is home to the Bird of Prey Research Center and the Weintraub Observatory. At Monkey Jungle, the tag line is “you are caged, the monkeys run wild”. 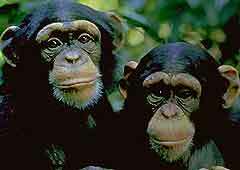 This is because most of the nearly 400 primates run free on a 30-acre reserve. This breeding sanctuary for South American primates houses 30 species of primates include monkeys, orangutans, lemurs, the golden lion tamarind, gibbons and spider monkeys. Watch crab-eating monkeys dive for treats.